RESORT LIVING LIKE NO OTHER. 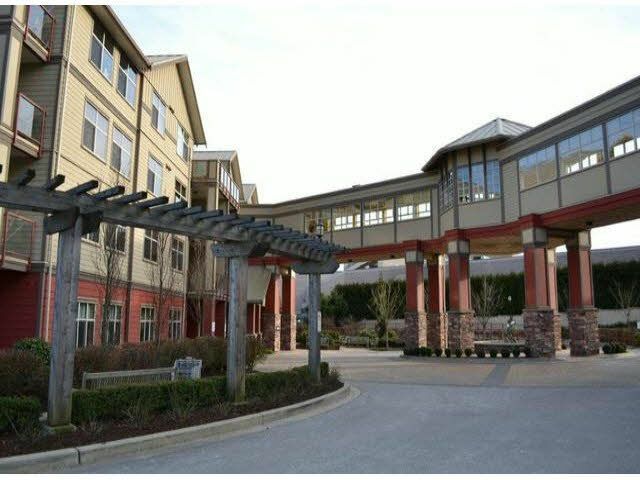 Fabulous 1 bedroom, 1 bath condo in S. Surrey's premier Independent Living Community. Maple cabinets, granite counters & stainless appliances, open floor plan with a large West facing covered balcony. Strata fee includes, heat, hot water, electricity. The community offers their own theatre, dining room, indoor pool, recreation center, lounges, billiards, emergency response and more. Membership Agreement must be entered into starting at $515p/mth to take advantage of all of the wonderful facilities the Pacifica has to offer. Located close to Shopping, restaurants. The Pacifica offers its own transportation to outings. Small pet allowed, rentals ok. Great investment for retirement.